As you know, this is a very difficult time for Venezuela, with the Trump administration threatening military action and invoking the idea of a right-wing coup, which could lead to a new Pinochet. The UK is slavishly following this agenda. Our successful recent #NoWaronVenezuela protest. £250 pays for room hire for a public meeting or film showing. If we get just 250 more donations of £20 we will reach our £10,000 target. Don’t let Trump get away with his military threats and sanctions, please donate to our vital work today and help us loudly say No More Pinochets in Latin America ! 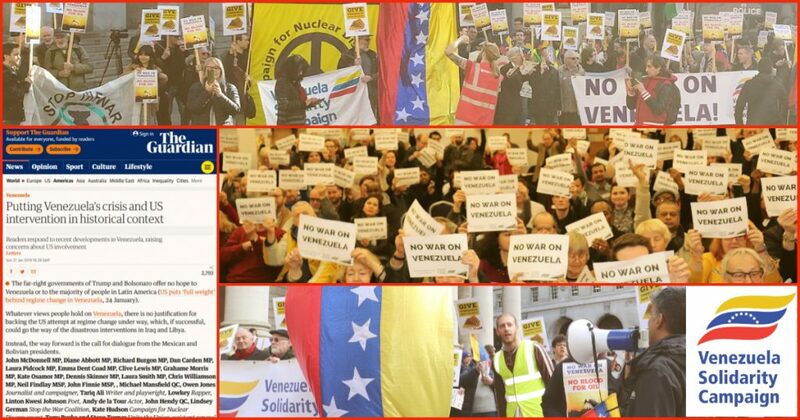 Dr. Francisco Dominguez Venezuela Solidarity Campaign..